Location is great. Beach just a few steps away. The view is breathtaking. Great location, beautiful view from the balcony. Good parking. Clean comfy bed - lovely balcony area with very nice view. This place is tricky to get to by car, but very easy walking into the center of Jelsa. Loved this town! The apartment was decorated with a lot of thought wich made staying there feel really pleasent. We liked that the kitchinette was attached to the terrasse for example. The location was perfect and the view beautiful. We also liked that the apartment was like a part of a hotel with the privacy that comes with that, and that we didn’t feel like we lived in a family house. Also, they cleaned the apartment everyday wich was nice to come home to. We truly recommend this place! Small but cosi place close to the harbor and city center. Slept very good. Very nice host. Parking available. 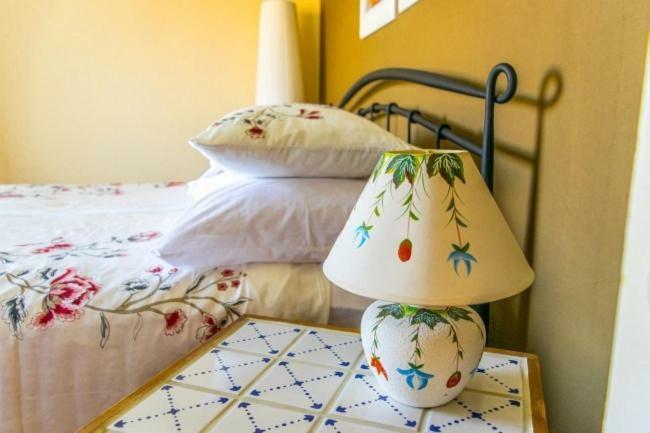 Small apartment, but very nice with a loveliest terrace to have breakfast or a glass of vine. The hosts sent a lovely girl to meet me once they knew of my arrival. The apartment was adorable, very clean and comfortable. The kitchen area was outside, with a lovely view and well equipped. It was easy to have morning coffee in and relax. Als having a fridge meant ledtovers could be eaten late. The bed was cozy and oeicides a good rest. It was close to,town it just far enough out to be very quiet. A good location. 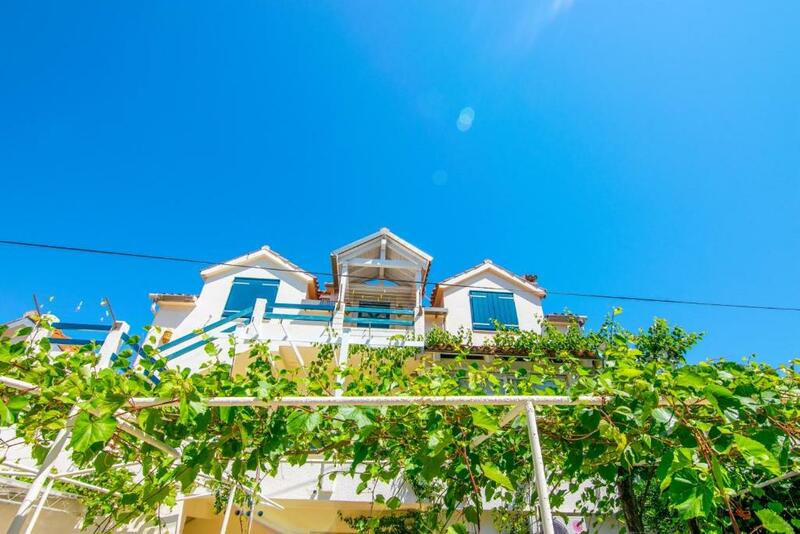 The building is located in a very quiet place in the center of Jelsa and the apartments are in front of the sea with a nice view. The interior design is nice and cozy, and we felt like at home. 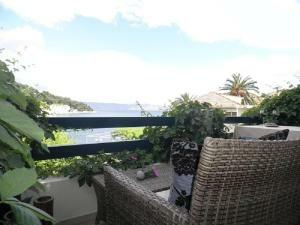 The apartment is in front of a small beach and near a few other beaches reachable by feet. Jelsa is less crowded than Starigrad (10 min by car) and Hvar (27 min by car) so it's comfortable and strategic. Super Lage: Schnell zu Fuß im Zentrum (gute Lokale im Ortskern), auch Bademöglichkeiten gut erreichbar. Guter Standpunkt für Erkundung der Insel. Die Außenküche ist nett, auf der Terrasse sitzt man schön. 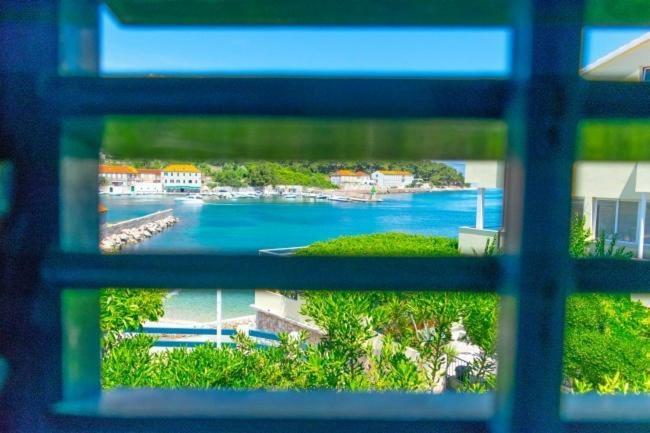 Lock in a great price for Apartment Drinković – rated 9.1 by recent guests! 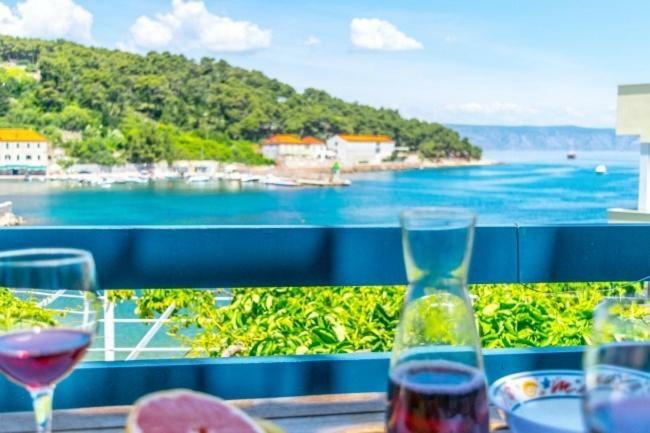 Apartment Drinković This rating is a reflection of how the property compares to the industry standard when it comes to price, facilities and services available. It's based on a self-evaluation by the property. Use this rating to help choose your stay! 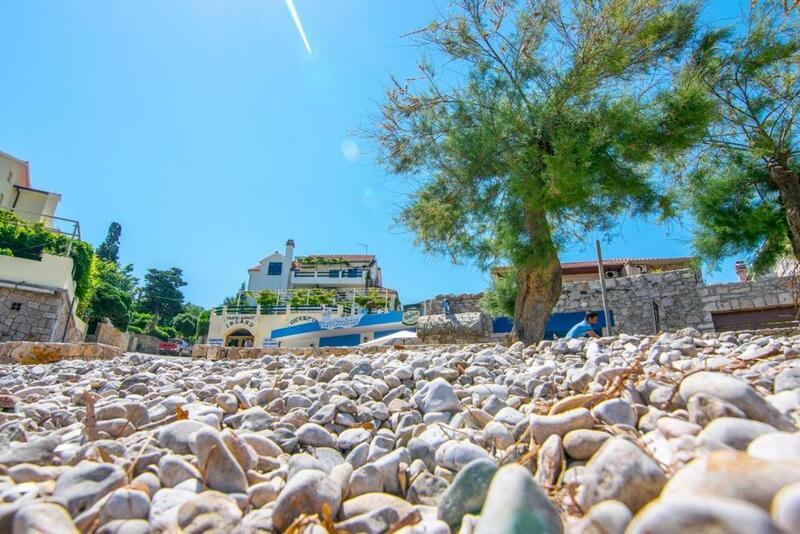 One of our top picks in Jelsa.Located in Jelsa, Apartment Drinković provides accommodations with free WiFi. Each unit is fitted with air conditioning, a private bathroom and a kitchen. A terrace with sea views is offered in every unit. 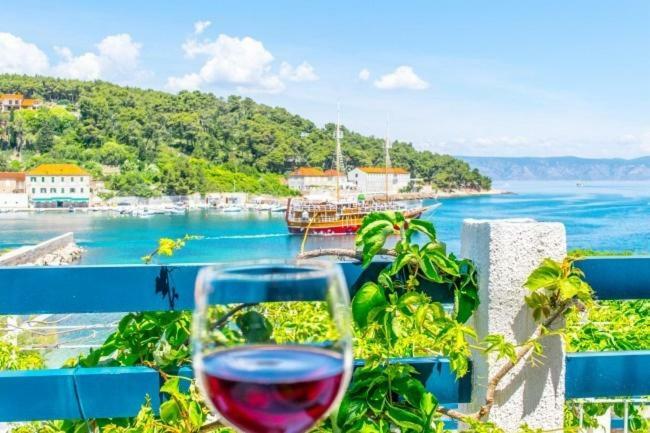 Hvar is 17 miles from the apartment. This is our guests' favorite part of Jelsa, according to independent reviews. 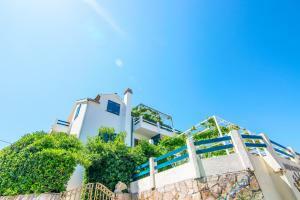 This property also has one of the top-rated locations in Jelsa! Guests are happier about it compared to other properties in the area. This property is also rated for the best value in Jelsa! Guests are getting more for their money when compared to other properties in this city. 뀐 Located in the top-rated area in Jelsa, this property has an excellent location score of 9.6! When would you like to stay at Apartment Drinković? This studio features a stovetop, balcony and kitchenware. This studio features a tile/marble floor, kitchenette and balcony. This studio features a private entrance, balcony and kitchen. House Rules Apartment Drinković takes special requests – add in the next step! There is a noisy construction zone in front of the house that has been there for years now. They are almost finished, but why does no one mention this? Jackhammers?!! No indoor sitting area. Balcony sitting area is a bit overgrown with vines. The shower was not well enclosed. The curtain didn’t reach the wall and also didn’t close in all the spray making it difficult to avoid making the floor wet. It was a clean and easy to use shower. A small detail that keeps this property from being perfect.